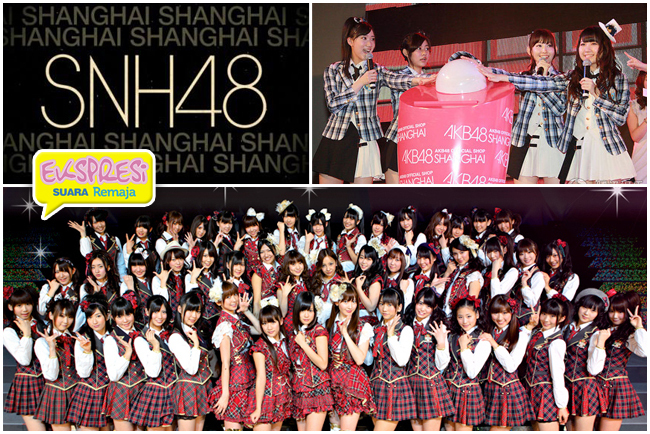 I'm sure you've heard of the Japanese idol group AKB48, but did you know that Shanghai has a"sister" group called SNH48? These girls are super cute and fans in both Japan and China are debating which group is cuter. Read more about this cute idol group! The girls have recorded many AKB48 covers and have several songs of their own. Though most of their songs are really pop and cute, they do have a few edger songs that are more reminiscent of a Kpop sound. Check out their teaser for UZA compared with their cover of AKB's Heavy Rotation. If you love an idol group, owning some of their merchandise is a must. SNH48 has plenty of great prints, t-shirts, stationary and of course cds for sale. Since they are based in Shanghai, many of their events and concerts are in the city. A VIP ticket to their "theater show" will only set you back about 168RMB (27USD)! General seating to their events is 80RMB. This coming month they will have several events. You can find more info on their ticket site. I recommend booking your ticket in advance because their shows get sold out quick. July 25th, SNH48 is hosting a huge event at the Mercedes Benz Cultural Center. You can find tickets for the event here. Personally, I feel these girls are on par with AKB48, I'm really looking forward to more original songs by them and to get a chance to see them live. What do you think of SNH48? Are they just as adorable and talented as AKB48?